If you've read Church Unique, you need to read God Dreams. Will Mancini and Warren Bird provide the explanation and tools for finding and focusing your church's future. This is a Visioneering gold mine. Having worked this process individually, with our church collectively, and after helping others put it into practice, I can say "it works." 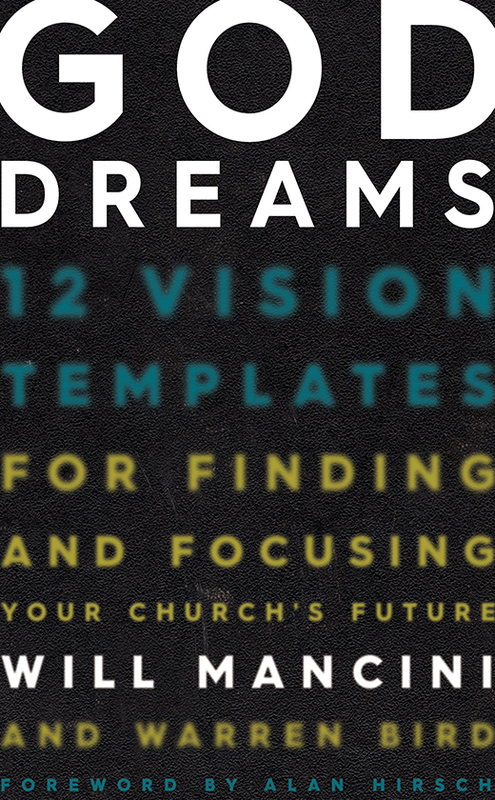 God Dreams will help you gain clarity as to where God wants your church to go. 1. Will's experience: Will Mancini has invested the 10,000 hours to become an expert in helping others gain clarity. He's invested the painstaking time to share his concepts through this resource. 2. The books biblical underpinnings: God Dreams is not "theory strong/theology light." I have never met (I know Will)/read anyone who addresses the subject of more biblically and practically than Will. 3. The Vision Framing Process: God Dreams is a start-to-finish process. It is simple, but not simplistic. Work through the book (let it work on you). Invest the time. Your path will be clearer. 4. The Tools: I've heard Will say, "People need tools more than sermons." God Dreamsis packed with tools. 5. The way it serves as an idea generator: God Dreams is the proverbial "whack on the side of the head." I've read it twice. The second reading led to greater idea generation than the first. It's that good.